A Reception will follow the performance. "Arutyunian’s playing reaches passionate depths with seemingly effortless technical prowess, beguiling sensitivity and an energetic stage presence. [His] deepest notes were at once vibrant and enveloping. His highest range had the clarity of a vibrant coloratura." 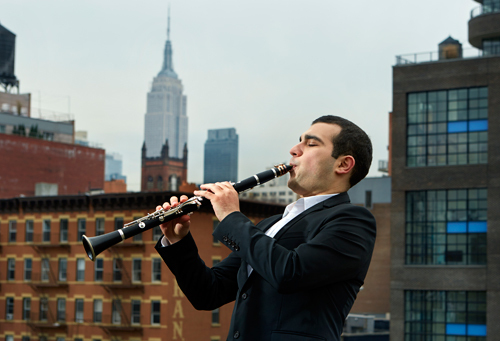 "A challenge of any clarinet recital is to transcend the familiar sound of the instrument…Narek Arutyunian presented a wealth of colors, voices, articulations. We heard dazzling technique in the service of coherent and considered chamber music." "Arutyunian impressed with his crystalline articulation and expressive warmth." Born in Armenia, Narek Arutyunian’s family moved to Moscow when he was three. As a teenager, he won First Prizes in the International Young Musicians Competition in Prague and the Musical Youth of the Planet Competition in Moscow. He graduated from the Moscow State Tchaikovsky Conservatory as a student of Evgeny Petrov, received a Bachelor’s degree from The Juilliard School, where he worked with Charles Neidich, and continued his studies with Mr. Neidich at the Manhattan School of Music on a Leon Russianoff Memorial Scholarship, where he received a Master’s Degree in 2018. He receives career support from the Guzik Foundation in California. Mr. Arutyunian’s clarinet is a personal gift from the conductor and violinist Vladimir Spivakov. 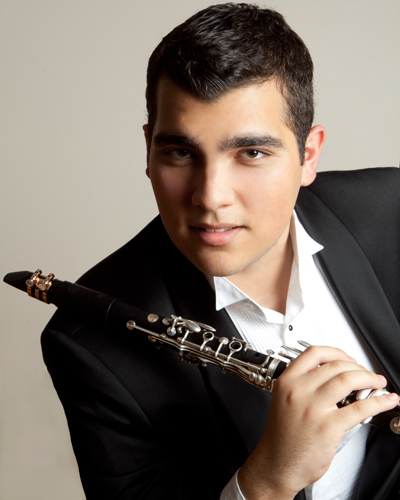 Narek Arutyunian is represented by Young Concert Artists, Inc.